BCF : A judge in Göttingen, Germany has declared that AfD members must inform their landlords of their party membership. Supposedly being a member of “right-wing” AfD makes them targets for violence and vandalism. If that’s true, it’s the fault of Muslims in Germany, not AfD members. It is an extremely dangerous sign for the future if people in Markel’s Germany must now declare their political affiliations, at least if they’re on what the enemedia call the “far right,” in order to apply for housing. This is obvious and unacceptable discrimination. Germany is once again becoming a fascist state. Goettingen. The state chairman of the young AfD organization Young Alternative, Lars Steinke, has to look for a new apartment due to a court decision. 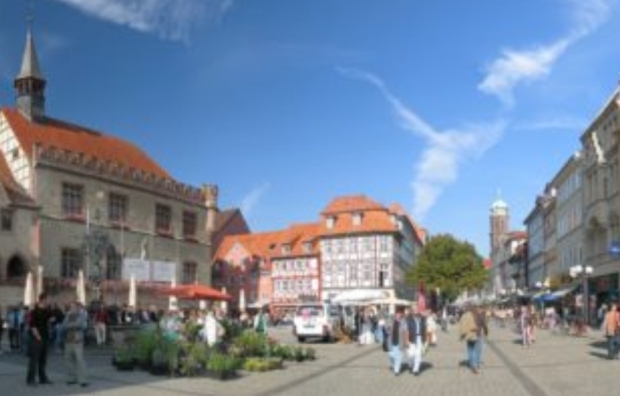 The local court Göttingen was now a claim for annulment of his landlady instead. Reason: The 24-year-old had concealed his landlady that he could be a potential target for left-wing violence because of his political activities. According to the court, he should have informed her about his special role, because this could also affect the rental property, a spokesman said. Since he failed to do so, the lease was made by fraudulent misrepresentation and thus void.